Helping municipalities provide sustainable, well-maintained & reliable wastewater systems that comply with regulatory requirements. Using the latest in monitoring equipment provide both temporary and permanent (telemeter or wireless) flow monitoring in sewer drain and combined sewer overflow structures. Our field staff has extensive experience with the following equipment: Hach/Sigma, Teledyne Isco, Marsh-McBirney (now Hach), MGD (now Teledyne Isco), ADS, Telog. Provide accurate field verified and documented mapping and manhole inspection services complying with all traffic control as well as confined entry procedures and protocols. All field personnel and our data manager are MACP certified (a program of NASSCO). Data can be presented in a NASSCO MACP-compliant database. Flow or pump station data is available in near-real time via the internet. Flow Assessment uses cellular data telemetry or WIFI to transmit data to our enterprise web-server. For an example of live flow, rainfall and pump station data, see our Resources page. Complete programs including site selection, equipment set up as well as laboratory delivery. 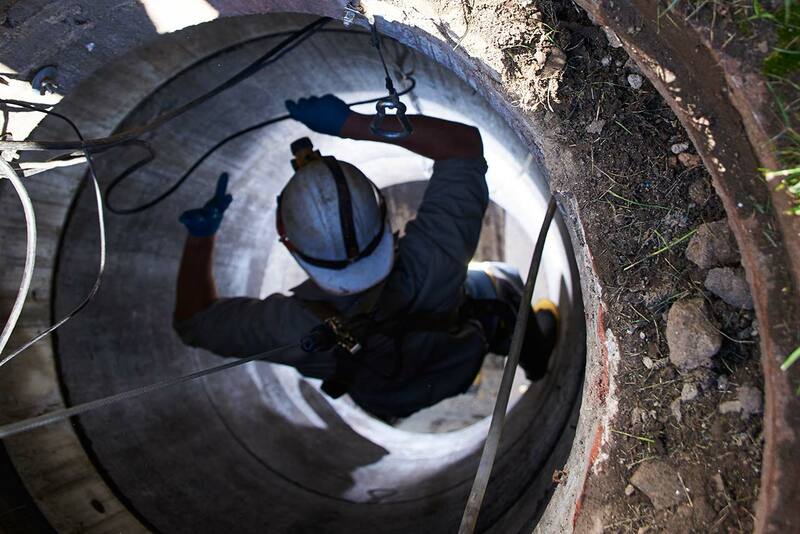 Essential in the determination of discharge points for the purpose of identifying excessive flows (I & I) or illicit sewer connections to drain systems. Used primarily for the identification of improper direct connections between storm drainage and sewer systems. Our crews use both the liquid smoke system or smoke candles in conjunction with high power blowers to identify cross connections. Essential in determining quantities of infiltration entering both manholes as well as in line reaches. These services as well as other related pipeline analysis services are available in the Northeastern United States region. Due to our strong relationships within the industries community, Flow Assessment Services, L.L.C. often teams with local firms providing the MBE/WBE component, complying with project requirements.